In this talk, I will discuss new methods for optimizing the analysis of data from Monte Carlo computer simulations. The heights and locations of peaks in the specific heat and the susceptibility can be found with high accuracy for relatively short simulations. For multiple simulations to cover a wide range of values, explicit error estimates allow objective planning of the lengths of runs and the parameter values to be simulated. Since information can cover a large temperature range, it is possible to include both zero and infinite temperature to generate the free energy and entropy over the full range. 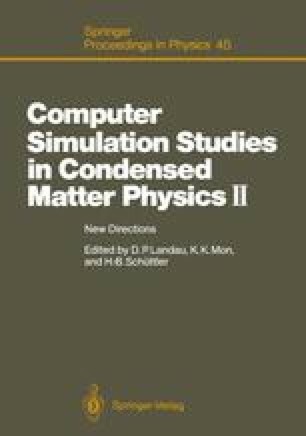 The methods are applicable to simulations in a variety of fields related to statistical mechanics.